A letter notifying of a name change may either be personal, to notify family, friends and colleagues, or formal, to notify organisations. Either way, details of the person's old name and new name should be included. Personal letters may also include information on the cause of the name change, while formal letters will likely provide details of accounts or other items that this name change will affect. If there is a change of address to accompany the change of name then these details should be included as well. Most often a name change is precipitated by some sort of life event, such as a marriage, divorce or adoption. Details of the event that caused the name change are entirely appropriate to include in a personal letter notifying of the name change. However, there is no need for these details to be extensive. It is perfectly fine to simply write that due to the event, the name will be changed from one name to another. How much detail is included is up to the letter writer and how comfortable (s)he feels in sharing this information. Any new contact information to go along with the name change should be given. A formal letter notifying of a name change should include details of why the recipient needs to know about this change. For example, if it is because the name on an account needs to be changed then the account should be referenced, the name that is currently on the account should be stated and the new name that should appear on the account should be given. It may be that proof of the name change is required, so including details on how the recipient can get in touch should (s)he require further information is also appropriate. It is not necessary to give an explanation of the name change in this type of letter but if there has been a change of address then this should be included as well. I am delighted to announce that, following my marriage to Brian, I am changing my name to Laura Wells. I also have a new address to go along with my new name. As of 1 March, I can be contacted at [New Address]. My email address will also be changing to [New Email Address], though my mobile number will be staying the same. Thank you again for all of your well wishes. Please be advised that on 02 February, 2009 my name was legally changed from Laura Jones to Laura Wells. My new name should be reflected on my current account, [Account Number], previously held in the name of Laura Marie Jones, as well as on my savings account, [Account Number]. My address also changed as of 01 March, 2009. Previously I was living at [Address One] but my accounts should reflect that I have moved to [Address Two]. If you have further questions, please contact me at [Telephone Number] or [Email Address]. In some circumstances you may want to close an account and start a new joint one after getting married. 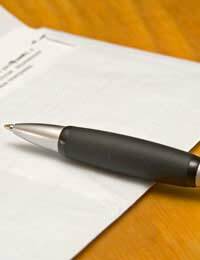 Brush up on how to write a letter to close an account, here. I changed my name via a government gazzet by a self decleration in 1996.Most of the places I wrote a letter to that effect but did not keep the corrospondence.In some places I forgot to write.Now one of the person has put a court case against me,that iI am impersonating and using 2 names.what is the legal position about this?I have stopped using my old name a long back.